Are you looking for a freelancer or interested in being a freelancer yourself? Then chances are you have heard about Fiverr. But does Fiverr work, and what do you need to be aware of before using this platform? Let me reveal right away that it definitely can be a great place to both hire and get hired – but it is NOT always great. This Fiverr review will go over how it works, when it works, and what it works for, so you can easily see, if it is the right platform for you or not. Fiverr is a legit marketplace to hire freelancers or offer freelance jobs. It can be a great option for both, but you just have to take a few precautions. If you do this, it can be a good way to both get work done or to earn by offering gigs. 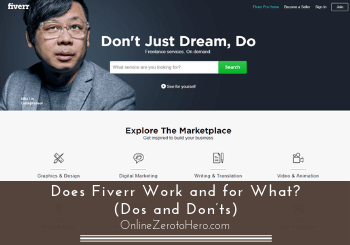 What is Fiverr and what does it offer? Fiverr was created in 2010, and it is now a very well-known freelance portal. It is a marketplace, and the services it offers is to either hire freelancers to work for you, or you can get work as a freelancer. You can find or offer jobs within more or less any topic. You can find jobs and freelancers for most tasks. On the image above you can see the main categories, you can find and offer jobs within. Each of these categories then has a big number of subcategories. The Digital Marketing category alone for example has more than 15 subcategories like SEO, email marketing, ads, social media, content writing, and more. So more or less no matter what you offer or what kind of freelancer you are looking for, it is very likely you can find it on Fiverr. Are Fiverr services worth it? One thing is that Fiverr makes it possible for you to find freelancers for almost any task or offer jobs within any topic. 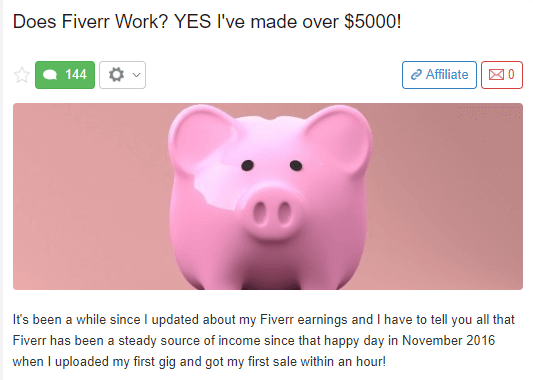 But does Fiverr actually work, and is it worth it? The short answer for this is – it depends:-) So let’s look at how good an option it is for you as a freelancer, and how good it is for someone looking to hire a freelancer. Is it worth it for Freelancers? Fiverr can definitely be a great place as a freelancer. Almost no matter your skills, you can offer them here. It gives you the opportunity to work more on your own terms. However, you just have to be aware that there are of course MANY other freelancers on the portal, so you will not just necessarily make a lot of money right away. To make a living from it can take hard work. Especially in the beginning until people will start giving you positive reviews and you start getting traction. I must admit that I have not used Fiverr as a freelancer myself. I prefer making money through affiliate marketing, and have also in the past gotten some great freelancer jobs directly at some online marketing agencies, so I have not had the need or desire to post jobs at Fiverr. But I known several freelancers that are very happy with the opportunities there. Below you can for example see a testimonial from someone I known at the Internet Marketing platform Wealthy Affiliate, who had great success at Fiverr. Example of a freelancer that had success on Fiverr. So it definitely is possible to make money as a freelancer there. It of course also depends on your skills and effort, but there are opportunities there. Is it worth it as an employer? I have used Fiverr a few times to hire a freelancer myself. If it is worth it to hire someone there depends a lot on what you are looking for someone to do, and your budget. Not all freelances are high quality there, and not all types of jobs are good to get done there. I have myself for example hired someone to help me draw a logo at some point. This was very good and cheap, and I have heard similar experiences from other people about using Fiverr to order graphic design. But I have also heard that you should not necessarily expect great quality in terms of for example content writing, if you are hiring someone on Fiverr to write an article for around $5. So as an employer Fiverr definitely has potential – BUT you have to consider a few things before hiring someone there. So let’s go over a few things to help you find the gigs that are worth it. With so many freelancers at Fiverr and so many different tasks they offer, it will not be all that are worth hiring. If you do not look carefully before getting a task, you can end up wasting money. In some cases the job you asked for can also end up hurting your business, if you are not careful. So here are a few things to consider before hiring someone on Fiverr. You can find more or less any service on Fiverr. There are however some services you have to be extra careful about. There are certain services I would personally not use from Fiverr, and others I would. As already mentioned, I have good experiences with cheap graphic design tasks. But I would never buy something like for example link building on Fiverr. There are many that offer this, and you can get it very cheap. There are certain tasks you should careful about hiring people for. As you can see on the image above, you can for example get someone to build 50-80 links to your website for just $5. Be aware that just because a task is offered on Fiverr, does not mean it is a good option. You should simply not expect anyone to be able to build this many links for this low a price using methods that will actually help you. In the past it could help you to get visibility in the search engines, as long as you got many backlinks. That is not how it works now, and it is all about quality to rank in the search engines. If you use services like this that are not up-to-date, you risk getting penalized and hurt your own business instead. So in cases like this, you should be careful, and link building is just one type of task, you have to be extra careful about hiring people to do. This does not mean that you cannot find any good link builders on Fiverr. It just means you have to be careful. Some of the tips below can help you further with this. On Fiverr, previous buyers can leave reviews. You can see these reviews before hiring someone. This can give you a great indication of the level of service within several areas. You can see a rating for how well they communicate, if the service fits what was described, and if it would be someone to recommend to a friend. You can see ratings of freelancers before hiring them. This is a great start, BUT do not look at this alone. It does not necessarily tell the full truth. Again it depends a lot on the service. If we stick to the link building example, the effect of link building does not necessarily come right away, if it is not legit links. The people giving positive reviews might just see they got the number of links promised. But if the person itself does not known how to spot if is a good link, that might just be the number he/she is looking at. That does not tell the full truth, and the negative effect can suddenly hit later. It is the same with article writing – if the person hiring does not known how to spot high quality, they might not realize how much it can hurt the website in the long run, and therefore give a good review for a poor service. So the reviews is definitely something to look at before hiring anyone on Fiverr, but you should also use your critical thinking and be careful about the services you hire people for. A great thing about Fiverr is that you definitely can find great jobs for a low price. BUT you should also be critical and consider your budget. 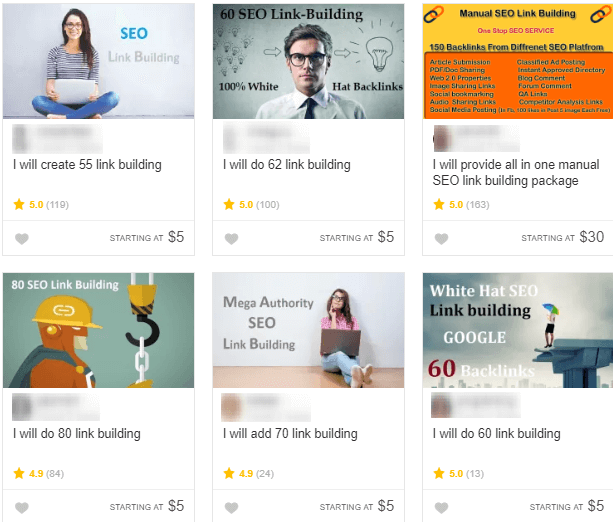 If you are interested in hiring someone to do link building or writing articles for you, but only want to pay $5, it is in most cases probably better to just not do it. So for some tasks it can definitely be worth considering hiring someone for a higher price. Other times it is perfectly fine to hire someone for $5-$10. It depends on the person and the task. Fiverr also has a pro option. If you have the budget, it can be a way to ensure high quality. A freelancer can open a Fiverr Pro account, when Fiverr has verified they are experienced professionals, with a great track record and high-level deliveries. You can recognize the pro sellers by the badge on their profile. You can recognize the pro accounts by this badge. You can definitely find great freelancers that do not have the pro badge. But it can be a way to make sure to get very high quality, if you have the budget. Is Fiverr free to use? Fiverr is free to sign up for, whether you are a freelancer or someone looking to hire a freelancer. But it has some costs, when you are using it. If you a hiring freelancers, there will be a small fee for every job you hire someone to do. You will for example pay $2 service fee per gig for smaller jobs. Other than that, the price you see for the job, is the price you have to pay. There will be a service fee for every gig you buy. 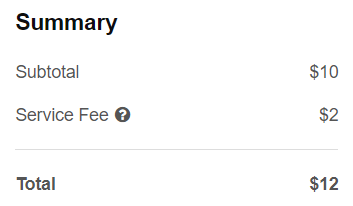 If you get one of the more expensive gigs, the service fee will also be higher. As a freelancer, you have to pay 20% of what you make in commission to Fiverr. Hiring freelancers can be a great way to scale your business or get things done, you do not known how to do yourself. And if you want to work as a freelancer, online portals can be a great way to get gigs from all over the world from the comfort of your home. Fiverr is one of the big and well-known portals both for hiring freelancers and offering jobs. It definitely is a legit portal, and it can give you a lot of opportunities. As someone hiring, you just have to do your research and only hire for jobs that are realistic people can do for your budget. As a freelancer you have to be aware that it will not necessarily be a fast way to a full-time income. If you are ware of these things, Fiverr can be a great option to either hire freelancers or offer freelance jobs. If you have any comments, questions, or have any experiences with Fiverr yourself, I would love to hear from you in a comment below.